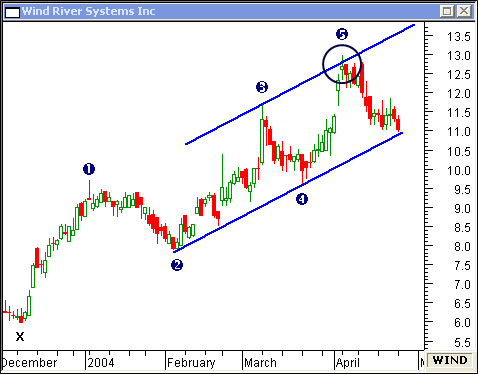 lliott Fifth Wave reversal points can easily be forecasted. Learn how to apply this predictive method by examining the following charts. 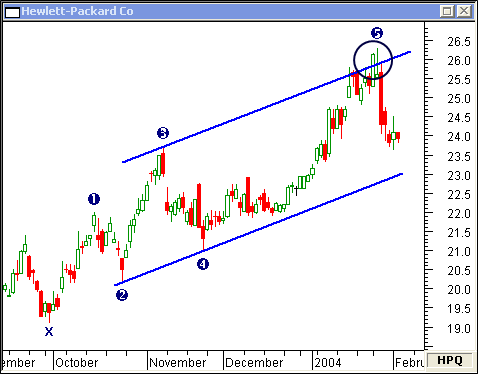 On this daily chart of Hewlett-Packard Co, a parallel line drawn from the termination of Waves 2 and 4 is projected from the termination of Wave 3. This line forecasts the end of Wave 5... months in advance. 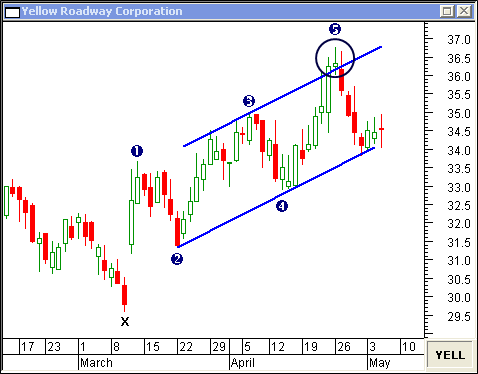 The termination of Wave 5 is clearly predicted on this daily chart of Wind River Systems Inc.
An Evening Star candlestick pattern appears... confirming the end of Wave 5 on this daily chart of Yellow Roadway Corporation. Elliott Fifth Wave reversal points appear at market bottoms, as well. 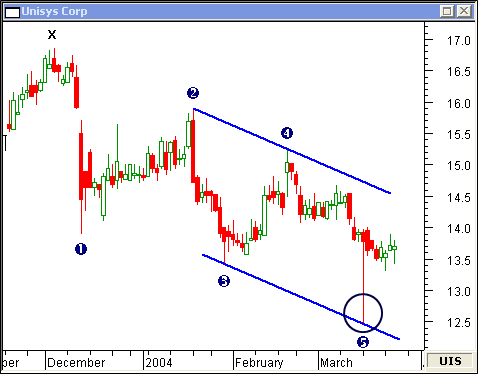 The Hammer candlestick pattern on this daily chart of Unisys Corp really made a stretch to hit the predicted end of Wave 5. 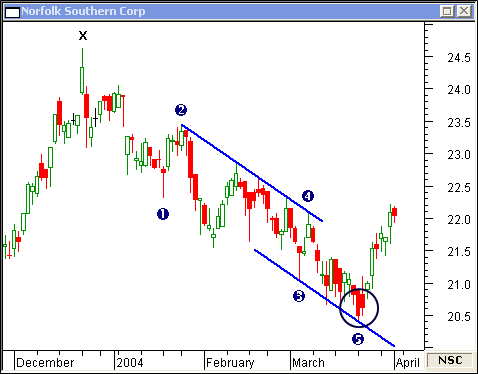 Price action on this daily chart of Norfolk Southern Corp crawled down the predictive parallel line projected from the end of Wave 3, eventually turning up and terminating Wave 5. 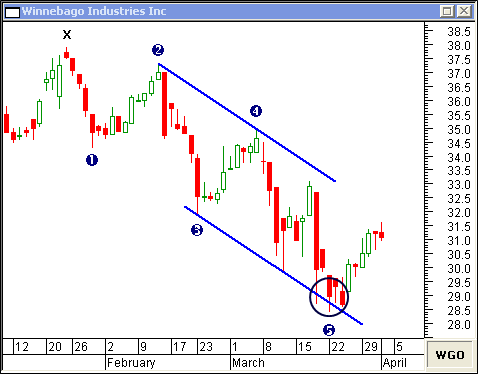 On this daily chart of Winnebago Industries Inc, Wave 5 finally terminated after several tests of the downward channel.